Better Than A Bag O' Flesh-Pops! 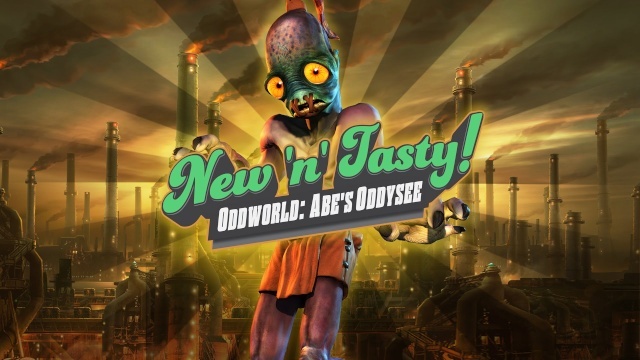 Developed by Just Add Water and published by Oddworld Inc, Oddworld: New 'n' Tasty is an HD remake of the original Oddworld title for the Sony PSX! The original version of the game was incredibly eerie and dark and was overall a fantastic game, so how does New 'n' Tasty stack up to the original? Continue reading our review to find out! The story is very dark and sinister in Oddworld: New 'n' Tasty just as was in Oddworld: Abe's Odyssey on the PSX. Some elements of the story have been altered a bit both in a good way and bad way depending on the scene, but overall the story is still great for a platformer. The gameplay is still excellent with limited powers and emphasis on stealth, Oddworld: New 'n' Tasty is a challenging yet fun platformer that will certainly hook any fan of 2D platformers. Besides the traditional platforming elements, the game possesses some clever puzzles including crates, levers, and intricate enemy patterns in some sections that require careful planning to get by as well as "endless runner" style areas where you ride a beast across hazardous areas filled with spikes and pitfalls among other dangers and it feels quite rewarding to get past these areas! The controls are somewhat shoddy in our opinion, it's not broken, but the button mapping is pretty bad and there's no way to change it in the options which really brings the game down. There's also an issue where audio doesn't play from the Gamepad during cut-scenes which kills the mood during Off-TV sessions. Visually the game is bright a colorful which is a stark contrast to the dark and eerie art-style the original Abe's Odyssey had on the PSX. Sure the environments look nicer for the most part, but this change completely ruins the game's atmosphere. Not only that, but the game's special effects and multiple layered hand-drawn claymation-style backgrounds were completely nerfed and replaced with more simplistic and in most cases inferior looking effects and backgrounds. These visual issues were problematic enough to force us to drop the overall score by one point. 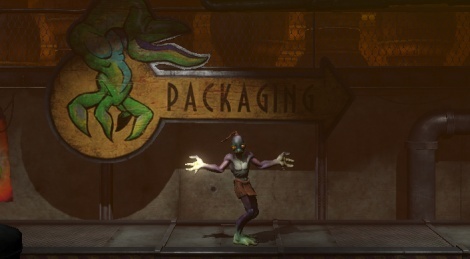 In-terms of audio, however Oddworld: New 'n' Tasty shines. The sound effects are excellent and the music is superb and fits the game well! The voice acting during the cut-scenes is cheezy at times, but in a 90's Saturday morning cartoon sort of way, which is a good thing in our opinion! With fantastic gameplay that is both highly enjoyable and challenging, a great story with excellent cinematics, and a great audio presentation, Oddworld: New 'n' Tasty is a great game in its own right, however it fails to reach its true potential thanks to shoddy, poorly mapped controls, and a seriously downgraded visual presentation when compared to the original Abe's Odyssey on the PSX. There's also the issue with no sound coming from the gamepad during cut-scenes which will hopefully be addressed in a future patch, but overall the game is still solid to good and as such we award the game with an appropriate score! After reading this, I was thinking that Naughty Dog should develop an HD remake of Crash Bandicoot 2: Cortex Strikes Back. FTW! @WilliamFrankLepleyIII wrote: Very good review, my friend! As long as it releases on a Nintendo platform I'd buy that day one! Great review by the way. Well, of course it would need to be available on all of the major HD platforms. Wow thanks for all the comments so far! Aww they nerfed the game. I already have all of the Playstation One Oddworld games so I think I'll pass on this one. I agree. 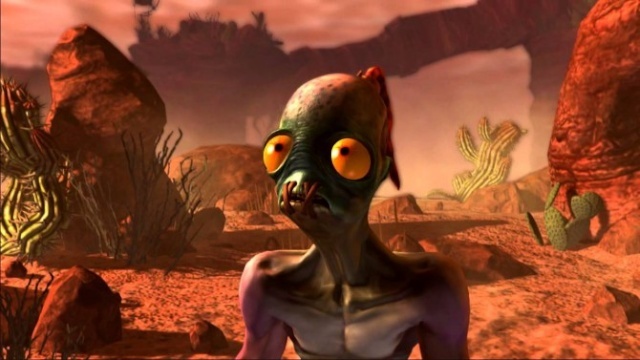 Oddworld: New N Tasty is good but the original was much better! Will game release in Japan?